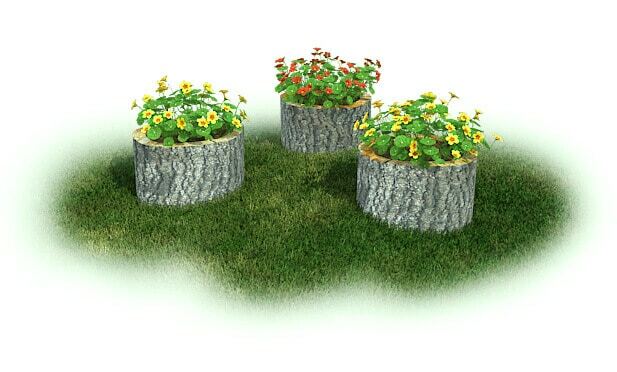 The Stump Garden comes as a set of 3 stumps with the center of the stumps carved out 5″-6″ deep in order to create an area for planting. Children can plant and nurture their own plants in this natural garden. Plant the seeds, add a little water and sunlight, and watch the plants grow. The Stump Gardens are a great addition to the natural playground, as it combines both gardening and natural materials play into one activity. While observing the plants, children can also explore the natural aspects of the log – exploring with the bark, rings, and natural cracks of the log and also with the bugs that will make the stumps their home. Place the Stump Gardens at different locations on your playground or on either side of the entrance to the playground to welcome the children to the outdoor play area. 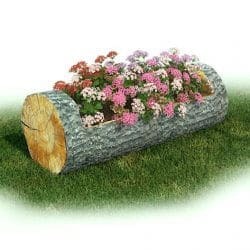 This Log Garden is sure to compliment any natural playscape and will be a unique feature on your preschool outdoor playground.